Bromley based at-home care provider, Home Instead Senior Care, was delighted to welcome Janet Soile from the Stroke Association in Bromley to their April caregiver meeting. Janet spoke about the work the Stroke Association does in the Bromley area and gave Home Instead’s team of caregivers a detailed talk on strokes and the warning signs of them. 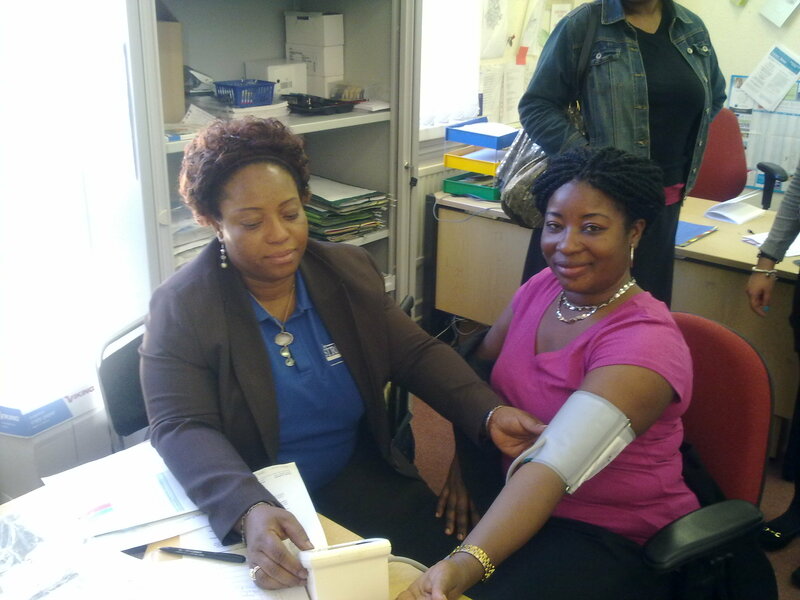 During her visit Janet offered to test the team members’ blood pressures. Sarah Habeeb, co-owner of Home Instead in Bromley plus one caregiver were found to have high blood pressures. Commenting on the talk, Sarah said: “We are really grateful to Janet for coming along to talk to the team who have learnt about the early signs of strokes. “I was surprised to find that my blood pressure was high and grateful to Janet to have alerted me to this. As a result of Janet’s test I have now been to see my doctor and we are actively working to get my blood pressure reduced. Home Instead is rapidly building a reputation as one of the UK’s leading care companies and the Bromley office were winners of the NHS Dignity in Care Award in 2009. Their unique service is tailored to the needs of individual clients and ranges from companionship, meal preparation, light housekeeping, post-discharge care, medication reminders, shopping and errands. The service allows people to remain at home and lead a relatively independent life and is available 24 hours a day, seven days a week. For more information on the services provided, please call the Bromley office on 020 8676 5678 or visit www.homeinstead.co.uk.